stockOzone - Financial Blogs | Stock Analysis | Expert Investing Ideas | Global Market News Google Pullout From China - Will Internet Majors Rally Behind Google? Google Pullout From China - Will Internet Majors Rally Behind Google? Google has embarked on a game of brinksmanship in China, saying it may quit the world's biggest Internet market by users after hackers apparently looking for information on dissidents broke into its China site. The world's dominant search firm may be hoping other search and e-mail leaders, both global and domestic, will rally around it in calling for China to lighten a heavy-handed approach to the Internet that includes frequent censorship and allegations of government-backed hacking. The world's largest software company has huge vested interests in China and is pumping more resources into the country. Computer sales there now top 40 million a year, many preloaded with legal copies of Microsoft's Windows operating system, the company's core franchise and main breadwinner. Microsoft has also invested millions of dollars in China, opening a network of research and development centers employing thousands of software programmers, all aimed at showing its commitment to the world's No. 2 market for PC sales. Like Microsoft, Yahoo's position in China is complex. After a largely failed attempt at going it alone in the market, Yahoo invested $1 billion for 40 percent of Alibaba Group, parent of Hong Kong-listed Alibaba.com and operator of two of China's leading online commerce sites. Given the size of its Alibaba investment and Alibaba's overwhelming reliance on the China market, Yahoo could find it difficult to take a tough stand against government Internet meddling in China and risk potential fallout for Alibaba. China's three oldest major Internet firms, Sina, Sohu and NetEase.com Inc, all operate e-mail services in China and are careful to steer clear of content and other actions that could raise the ire of government censors. In the search arena, Google's main China rival, search engine Baidu, self-censors itself in accordance with Chinese law to avoid sensitive, mostly political, topics. Certainly the move will boost the other search engine makers to eneter in the largest internet market. China was putting pressure on google since long. After all the major search engine company decided to pullout its operation from china. The move will certainly a boon for other search engine players. Particularly it will boost the market share of Chinese Search Engine Baidu. we absoultely not care google threaten to leave China, this nothing for us .google is not only one company which can supply search and others service in this field .google ,do not think you are very very very important for Chinese .if you want to expand in China ,you must comply with our law. It is about time a key American corporation looks past the double digit growth rates of China's economy and does the right thing and call them out on its subversive behavior, its abuses on human rights, and its demand for censorship at the detriment of its people. To the Chinese Government - lets hope this is the beginning of the end for your desire to choke out information that does not benefit your objectives and to illegally fish for propitiatory information that benefits you and hurts your competitors. Google is leaving China because it could not face competition from Baidu. Threatening to pull out of China is like threatening to spit on a whale!!! 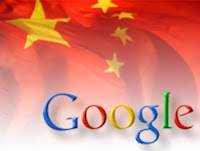 "This is not the first time Google threatens to pull out of China. "I don't think censorship is the main reason; the main reason is that its market share is very small, it is no match to Baidu (the Chinese search engineer), it can't make money, so it wants to pull out.